Technology classes are just some of the activities offered at GoodLife. According to U.S. Census information, there are now more Americans age 65 and older than at any other time in U.S. history. In New Hampshire, over 15% of the population is above retirement age, and the percentage is growing, not declining. We’re not your ordinary senior center. Empowering older citizens in the Greater Concord area to make choices that will enrich their lives as they age is the driving force behind GoodLife Programs and Activities. Instead of being limited to traditional activities like bingo or card games, many are looking to centers like ours for challenging and fun opportunities such as exercise classes, technology training, travel, art classes and more. Others are looking for fun excursions, or to take trips they had neither the time nor the money to take before. Still others are looking for social engagement and the opportunity to stay in good physical health—thus our early morning Yoga classes, evening exercise programs and the facilitation of coffees and informal gatherings where people can connect. There’s no need to take retirement sitting down. Independence, health and wellness are important to everyone, but particularly to those of us in our later years. With a positive attitude, a support network and the GoodLife Programs and Activities offered at Centennial Senior Center, you can begin a new and exciting chapter of your life! 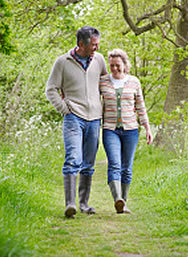 For more information about how GoodLife is supporting a healthy retirement, see Our Vision. Discover a new vision of aging, and the way to a good life. 17% of NH's population is over the age of 65, according to the 2016 US Census.